Cellular therapy — the transfer of human cells to heal or replace damaged tissue or cells — holds much promise for patients with cancer and other diseases. A type of immunotherapy, cellular therapies are transforming the way we treat cancer, bringing us closer to finding a cure. The physicians and scientists at University of Chicago Medicine have long been leaders in cellular therapy research and clinical care. Two types of cellular therapy — stem cell transplants and CAR T-cell therapy — were first tested in clinical trials. We participated — and were leaders — in these trials, being among the first to bring these breakthrough approaches to our patients. Transplanting blood and bone marrow stem cells is a well-established cellular therapy for numerous cancers and blood diseases. SCT involves harvesting stem cells from the bone marrow or blood of a patient or donor, and then transfusing them into the patient after their unhealthy bone marrow has been destroyed or eliminated by chemotherapy or radiation. CAR T-cell is an emerging form of cellular therapy that involves modifying a patient’s T cells to recognize and attack cancer cells. Researchers at UChicago Medicine played a key role in developing this groundbreaking treatment, and we were the first medical center in the United States to be certified in this therapy for specific blood cancers in adults and children. UChicago Medicine is a regional leader for the number of CAR T-cell therapy clinical trials we conduct, with many of our researchers actively studying ways to enhance its effectiveness and expand its use. 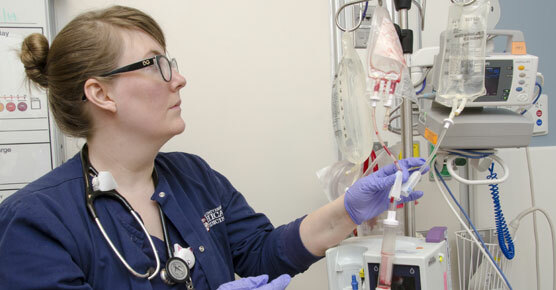 University of Chicago Medicine Comer Children's Hospital pediatric hematology-oncology specialists are recognized experts in cellular therapy, and were the first in Illinois to offer CAR T-cell therapy to treat pediatric cancer. CAR T-cell therapy supercharges a patient’s white blood cells to seek out and destroy cancer cells. Research at UChicago Medicine played a key role in the development of this exciting new immunotherapy for advanced blood cancers. Clinical trials at UChicago Medicine helped develop CAR T-cell therapy for leukemia and lymphoma patients. By removing, supercharging, then returning white blood cells into the bloodstream with instructions to find and kill cancer cells, this living drug can often result in full remission. The process works like this, CAR T-cell therapy uses genetically engineered versions of the patient cells to find tumor cells and kill them with minimal damage to healthy cells. 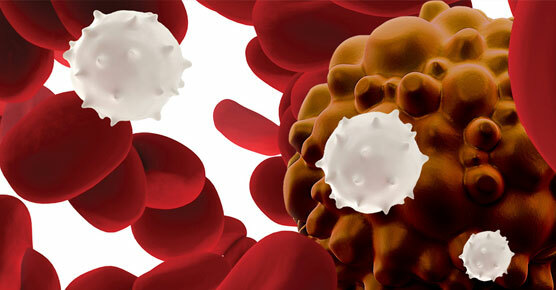 In the first part of the process, T-cells, the workhorse of the immune system, are collected from the patient's blood. Then scientists insert instruction that enable those T-cells to find specific cancer cells. While the T-cells multiply in the lab, the patient receives chemotherapy to reduce the number of cancer cells. And finally, the engineer T-cells are returned to the patient's bloodstream, where they seek out and kill remaining cancer cells. For more information about this exciting new treatment, visit UChicagoMedicine.org/defeatcancer or call 844-482-7823.